Microsoft and Game developer ZeptoLab has unveiled it's award-winning iOS and Android puzzle game, Cut the Rope for web browser-based platform. 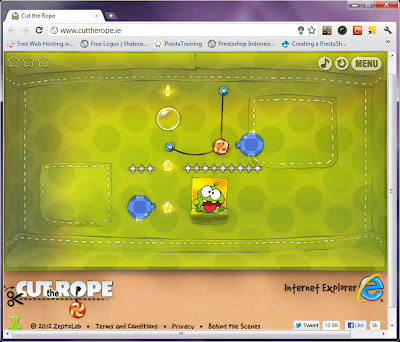 Following the Google Chrome brought Angry Birds to web browser, the browser-based Cut the Rope is designed to show Microsoft Internet Explorer 9's HTML5 capabilities. 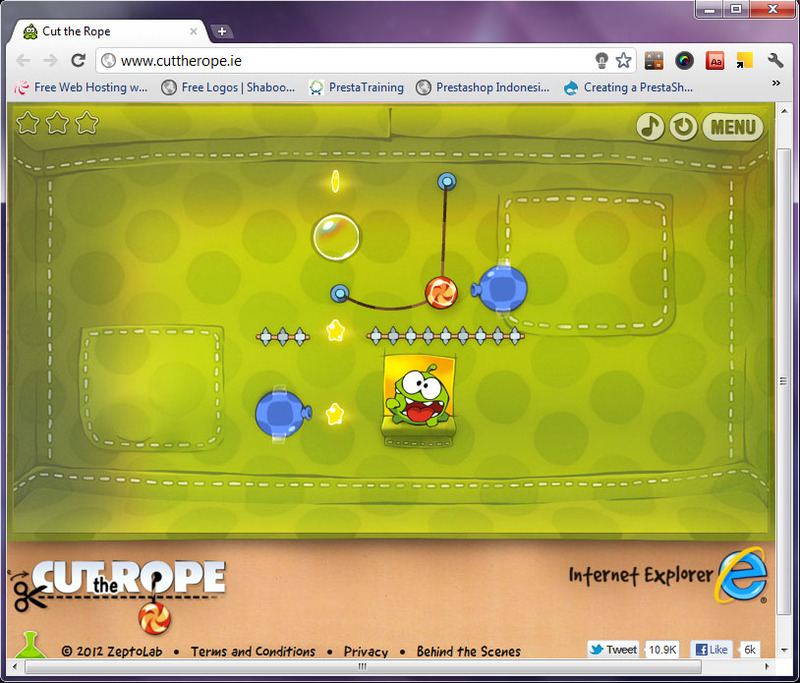 You can play Cut the Rope in Internet Explorer, Google Chrome, Firefox, and etc. But Internet Explorer users will get more exclusive levels to play.